Our practice supports the American Association of Orthodontists’ recommendation that children receive their first orthodontic screening by age seven. By starting treatment early, we are able to recognize potential problems early and correct them before they become more serious. This not only saves you and your child time, but also money. Early interceptive orthodontic treatment has proven to be beneficial for the overall desired result. Because a young child’s permanent teeth have not finished erupting, we are able to thoroughly evaluate the front-to-back and side-to-side tooth relationships and address any impending problems at its earliest stage. 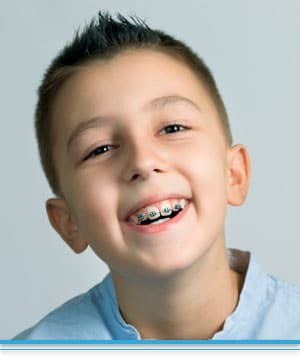 The need to address orthodontic issues for young children goes beyond the cosmetics, as well – orthodontic problems may have impact on critical abilities and skills they are developing – chewing, swallowing, and speaking.